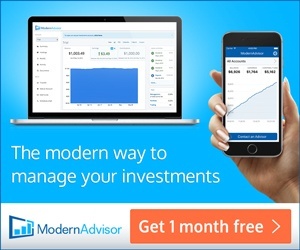 We’re all told to save, invest and stay invested for the long-term. Sound advice for sure in our asset accumulation years. But most of us will want to spend what we’ve worked so hard for in retirement during our “asset decumulation” years. We’re “not there” yet in terms of drawing down our portfolio but those days are getting closer. We’re more than halfway to this major financial goal that should fund most of our retirement expenses. When we realize this goal I have full confidence we’ll be able to leave the workforce for good or at very least work on our terms. Thanks to various reader questions of late, I’m going to revisit our “how much is enough” question about any retirement planning. I’m doing so today in hopes of helping you figure out your “enough number”. I’ll highlight a few recent reader questions in this post that relate to this theme and over time, I’ll update this post as new questions come into my inbox. OK, let’s go. Mark, how do you know when you’ll have enough? You write about dividend income and not spending the capital but won’t you consider drawing down your portfolio eventually? Home needs (property taxes, maintenance/improvements, utilities, contents/house insurance plus some contingency money) = $1,400 per month assuming no debt. Personal needs (gotta eat ($700 per month for 2 people), healthcare, household supplies, clothing plus some contingency money) = $1,600 per month. Auto needs (assuming we’re down to one car in a few years; auto insurance, maintenance, gas, contingency money and saving up for a newer car every 5-10 years) = should be no more than $950 per month. I write about owning a million dollar investment portfolio not because it’s a nice round investment number (although it is) but because we believe the income derived from this portfolio value (excluding withdrawals; fixed income from our small workplace pensions; government benefits paid to us in the form of CPP and OAS in our 60s and beyond) should be enough to cover most expenses. This means we will have reached our crossover point. If we don’t have enough money to “live off dividends” then we’ll start withdrawing from our portfolio – which is just fine. Further Reading – Why we intend to live off dividends (and why this mindset works). Using TaxTips.ca (no affiliation but free calculator! ), you can calculate how long your registered money might last. Here is one example for early retirees who may want to consider drawing down their RRSP(s) before taking their Canada Pension Plan (CPP) or Old Age Security (OAS); and/or workplace pensions; and/or withdrawing any money available in other investing accounts. This is something we’ll probably do. Individuals or couples who have worked hard to amass a portfolio value of $500,000 by age 55 will be able to enjoy a modest income from their RRSPs before taking government benefits – benefits that make sense you defer in many cases. 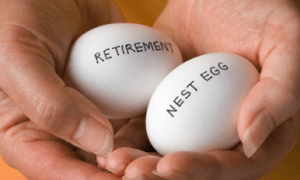 Further Reading – When to take your Canada Pension Plan (CPP) benefit. Mark, I have read your articles about your journey to owning million dollar portfolio. I would be interested to know how you would invest if your RRSP (Registered Retirement Savings Plan) was maxed out; what would you do next? Another good question. I can answer this question rather honestly because it is (the RRSP) maxed out. 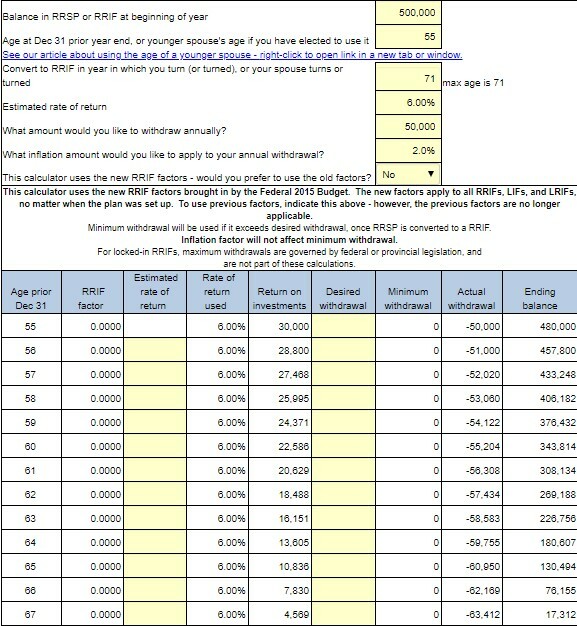 Although we have some work to do, to maximize contributions to my wife’s RRSP in the coming years (before early retirement) my RRSP has been maxed out for about three years now. Further Reading – Great things you can do with your TFSA. Further Reading – Should I transfer stocks into my TFSA? 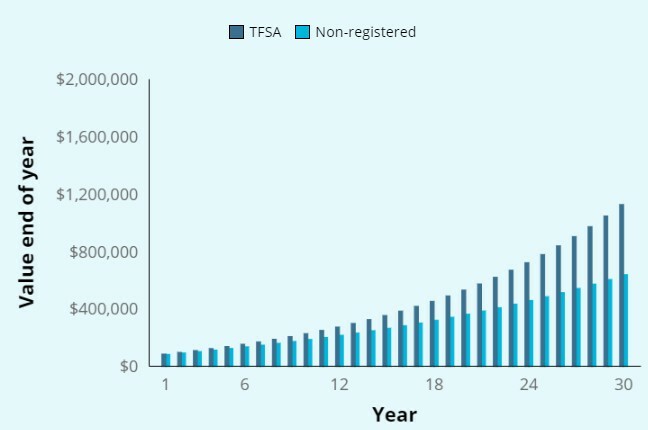 Further Reading – What should you put in your TFSA? If your RRSP(s) and TFSA(s) were maxed out, and if you had money left over, I would strongly consider paying down debt (e.g., mortgage, car loans) and/or funding your kids’ Registered Education Savings Plan(s) (RESP(s)). In general, I believe it makes sense to maximize contributions to all registered accounts (RRSPs, TFSAs, and RESPs as main examples) before investing in a taxable account. Mark, in what order are you going to draw down your portfolio? Why that order? Geez, complex question to answer! Here is my thinking although it’s subject to change! No portfolio withdrawals planned. Save, invest and hopefully, eventually – prosper! We hope to kill our mortgage while working full-time and eventually be debt free in another 5-6 years. Stop working full-time in this decade; hopefully enjoy part-time work in early 50s. If we reach the aforementioned $1 million portfolio by or in our early 50s, as long we have no debt, we’ll likely start withdrawing from our RRSPs first. This will reduce the tax liability that is our RRSP investments before we take on any CPP or OAS. During RRSP withdrawals, we don’t intend to touch our TFSAs because that’s tax-free money we can defer into the future. We have a number of Canadian dividend paying stocks in a taxable account. We will spend dividends earned from that taxable account. We will take my wife’s workplace pension at age 55; move into Locked-In Retirement Account (LIRA) and draw it down throughout our 50s. 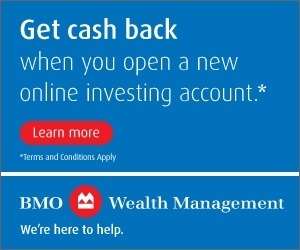 More RRSP withdrawals planned – spend it all baby! Continue to spend the dividends from our taxable account – start drawing capital down. Consider taking CPP and OAS at age 65 or maybe later. Take my workplace pension* at age 65. (As of today, that *pension will provide a guaranteed $28,000 per year at age 65, inflation-protected for life.) No withdrawals planned from our TFSAs; rather we’ll use TFSA income in old age – good health, body and mind willing. Spend my wife’s pension and likely exhaust it in our early 60s. Thank you dear! By our early 70s, our plan is to live off income from my defined benefit workplace pension, use fixed-income from our government benefits (CPP and OAS) and use TFSA (dividend) income to cover living expenses. If we continue to maximize contributions to our TFSAs like we have been doing, every year since inception, it’s not unrealistic that in 30 years our TFSAs will be earning tens of thousands of dollars per year; money that can be withdrawn tax-free. How much is enough for your retirement? I can’t possibly know. I can tell you via this blog where my wife and I are trending to and how we intend to save and invest to get there eventually. Maybe sooner than most if we’re lucky. We’re far from being retired yet nor perfect investors but we feel the importance of planning for retirement. This makes the process of planning and re-planning very important. If you do the same, I have great confidence you’ll get to where you are going as well. I hope this post provided more insight into our “how much is enough” question; it answered some of your reader questions and it provided some considerations for you. As I get more reader questions, I will continue to post some new perspectives. Readers, what do you make of these answers? What further questions do you have for me? Retirees, what do you make of our plan knowing what you know now? What advice would you have for your younger self or others? Thanks for reading. 21 Responses to "How much is enough for retirement? April 2018 update and reader questions"
No one knows how much money they will need during retirement, or how much money they will be able to save before retiring. There are just too many variables and unknown factors, so why bother guessing or asking the question! Stick to what you know and to some extent can control. 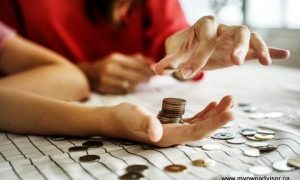 You know how much you are currently saving and by setting savings goals you should be able to surmise how much you will save in the near future. Now concentrate on what to do with your savings. If you are asking “How much I will need in Retirement” you are already thinking about “How Much Income” will your savings generate without knowing it. Remember Income is not the Value of your savings and don’t worry whether your savings have gone up or down in value. Concentrate on getting your current savings to generate Income and that it grow over time. The only way I know how to do that is by investing in quality DG stocks (not Mutual’s or EFT’s), reinvesting the dividends and adding to those investments regularly, especially when the price of your stocks drop. As each year goes by you will see your savings income grow, and as you get closer to retirement, will know if your income stream “Will be enough during your retirement”. Even if it’s not enough I’m sure you’ll be satisfied because you will know the income will continue to grow as it has in the past. Working at that as much as I can cannew! “As each year goes by you will see your savings income grow, and as you get closer to retirement, will know if your income stream “Will be enough during your retirement.” Trying to do that here as you know! Your one of the few who recognize the advantages of a growing income stream. Many still think FI is necessary and because it’s been a Bull market since 2009, that their growing value will meet their objectives. DGI&R’s Lost Decade from 2000 to 2010 shows what could happen to the market and often does when we least expect it. I suspect the economy will slow over time. I could be wrong but major demographic shifts are underway right now. This makes the ability for the portfolio to deliver cash flow very important – for us it is. By the time one is getting close to retirement they should have a fairly decent handle on how much they spend and on what they spend it on. Knowing that information will give a person a reasonable idea as to how much they may need on an annual basis going forward. Some X variables to consider may be things like longevity and health (not necessarily the same thing), market performance if one is invested in securities, inflation, etc. Suffice to say that if your annual expenses are $5K (number out of a hat) and you’re pillars are bringing in $6K then it would be a reasonable guess that you have enough. If your pillars are only bringing in $3K then something may have to be adjusted (depletion of principle, reverse mortgage or downsizing, cutting back on expenses, etc). And after all this, everyone’s situation will likely be different and there may never be an actual answer. Agreed Lloyd but it’s also surprising how many folks have no idea how much they are actually spending on anything – they don’t keep a budget. I know that’s not you though! Nice post mark. I know what we currently spend and what might be a comfortable income to retire on. I never even thought of the order in which i would start pulling cash out. Very neat to hear your retirement game plan. Thanks Rob. I mean, it’s a high-level plan now for the next 5-10 years but who knows. At least we have a plan. I think people also have to factor in the possibility of a decline in the stock market. Your portfolio won’t be what it used to be if the stock market falls 40%. You gotta prepare for every scenario. Good point Troy. You absolutely have to accept your portfolio could be down 30% at some point. Good Post Mark. And I like the comments too. This is definitely a one size does not fit all answer. I have no pension (outside government) and a wife that due to medical conditions has not been able to work and requires medications, etc, so the lets pick a number out of a hat definitely does not work for me. And even if you have your budget numbers done, as other posters mention, the markets are not a straight line. Personal finance knowledge is always a good thing, knowing what ‘your’ situation is will definitely be the key. I’ve never been a fan of numbers out of a hat either…makes no sense to guess about your financial health. Personal finance is personal and you’re right, my “number” could be different than yours and that’s absolutely A-OK! Keep building the equity asset pile and the income from it will also grow, especially with a bias to dividend growers. The mindset of “living off dividends” works to provide a strong and growing base of income that’s fairly reliable. You’re probably building more income and savings than you “need” with likelihood of a prudent draw down of capital over time (your RRSP’s, wife’s DC pension assets and eventually unregistered assets, TFSAs etc) and especially when you include future workplace and government pensions. With numerous reliable income streams and capital to work with on your terms you’ll have a terrific cash flow plan, with flexibility for a great lifestyle. I agree most people can figure out what their retirement basic expenses will be, but added to that people need to allow for major items like home repairs, car replacements, health etc. For discretionary spending items like travel (that you enjoy) a flat monthly or annual budget will probably work fine for those that have extra and can also act as a buffer if something else goes awry, but I’m certain this will not be any problem for you. Nothing too new here and you’re already on top of it all. However, I’m sure some readers will benefit by following your journey and being able to make better, more informed decisions for themselves. Thanks for the kind words. I think we have a good plan in place, I/we just need to continue to execute on it. It’s proving to work well for you. There are mnay different plans or ways people can achieve their financial goals. The key ingredient is to have a plan and stay committed for the long term. Hi Mark – i’ve been following your blog for the last couple of months and wish to thank you for sharing your knowledge. You’ve helped me a lot. One question I thought I’d ask for your views. Do you know yourself, or know of where I could look to find out, what the possibilities are for investing in the US stock market as a non-resident of Canada and at the same time a non-resident of the US. Or maybe someone else reading the forum may have an idea. Thanks Tom. Always great to hear from readers. I can’t offer specific advice but a quick Google search should help; don’t trust everything you read, do some fact-finding. See link and explanation above. Sorry, my question wasn’t clear. I meant to say that do you know if I’m non-resident of both the US and Canada, and I invest in US stocks, will there be a witholding tax applied. You might find some information here, not tax advice though!! I’m not a tax expert. thanks a lot. Very kind of you to reply so quickly. I will have a look for similar info from a US site for US dividends earned by a non-resident and non-US citizen. Good luck Tr and thanks for being a fan.